As a mental exercise I've been doing some translation work, and since it is a basic introduction to the Sengoku Daimyo, I decided to post it to the blog. There isn't anything groundbreaking here, but it does serve as a good quickie introduction to where the Sengoku Daimyo came from, and who they were. A single word that sums up the Sengoku Period of Japanese history is Gekokujo. Gekokujo refers to, for example, when an incapable lord was forcibly removed by his vassals. What determined a lord’s capability during the Sengoku period? A capable lord protected his lands and rewarded his vassals with land. A lord that can’t protect his lands exposes his vassals to danger. Furthermore, a lord needed to be willing to invade other lands in order to increase his holdings to reward his vassals. Because of this, Sengoku Daimyo were required to risk their continued survival in battle. The Sengoku Daimyo came about in various ways: The Shugo of the Muromachi Bakufu who were able to evade the wave of Gekokujo became Sengoku Daimyo. Examples of these Daimyo include the Takeda of Kai province, the Imagawa of Suruga, the Rokkaku of Omi, the Otomo of Bingo, and the Shimazu of Satsuma. On the other hand, there were families and clans that drove out the Shugo to become Sengoku Daimyo. These included the Asakura of Echizen province, the Oda of Owari, the Nagao of Echigo, the Amako of Izumo, and the Ukita of Harima. There are also many examples of small time rural regional lords, known as Kokujin, who became Sengoku Daimyo as well. These included the Date of Mutsu province, the Asai of Omi, the Mori of Aki, and the Matsudaira of Mikawa. Unlike the three examples above, some men who became Sengoku Daimyo defy classification – three examples would be Hojo Soun, Saito Dousan, and Matsunaga Hisahide, who have been called villains of the Sengoku period. Their origins are shrouded in mystery. Hojo Soun was a mere lowly ronin, Saito Dousan was an oil merchant, and Matsunaga Hisahide was a merchant from Yamashiro province. From these inauspicious beginnings, these men rose up and embraced their dark ambitions by becoming Samurai and independent Daimyo through plots and trickery in perfect displays of Gekokujo – and symbolize more than any other the Sengoku warlord. However, is there really a difference between these three treacherous villains and heroes like Oda Nobunaga and Takeda Shingen? If one gives a precise definition of a villain, it would be someone who is ferocious and treacherous – how does Oda Nobunaga stand up to this definition? Nobunaga is infamous for his atrocities, including his burning of the Enryakuji temple, atrocities during the Nagashima Ikko-Ikki, and for drinking sake from the skulls of Asai Nagamasa and Asakura Yoshikage. Yet, in Japan he is still considered a "hero" of the Sengoku. 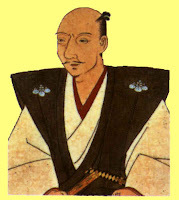 Villains used treachery to remove or murder other lords, and while it could be said that driving out a lord was a more moral alternative to murder vis a vis Gekokujo, Nobunaga murdered his brother and attacked his grandfather, however Takeda Shingen removed his father from power and drove him from the province, sparing his life. So it might be a better question to ask not what makes a hero or villain but why one was designated one or the other. Even if the methods are considered heinous and barbaric, protecting one’s lands and maintaining the peace was the goal, so as long as it was effective, it could be considered heroic. So when comparing Oda Nobunaga, who burned temples and essentially maintained a sustained terror campaign of “shock and awe”, he was doing it with the relatively honorable goal of unifying and bringing peace to Japan. This is contrasted with Matsunaga Hisahide, who was essentially making a selfish grab for power. These men were a product of their age, and the glorification of brutality was a symbol of the times.